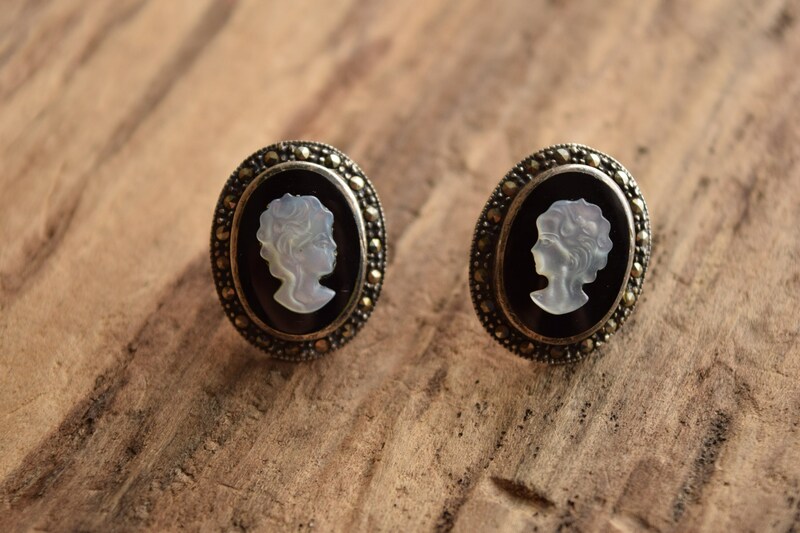 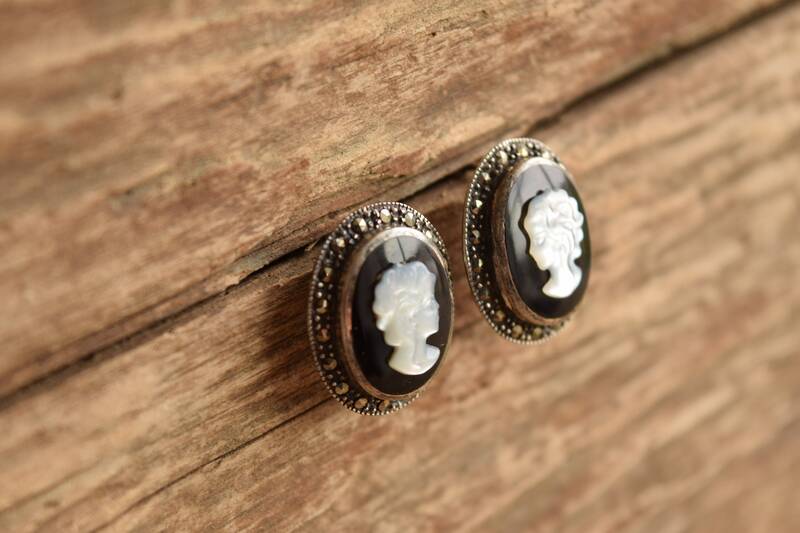 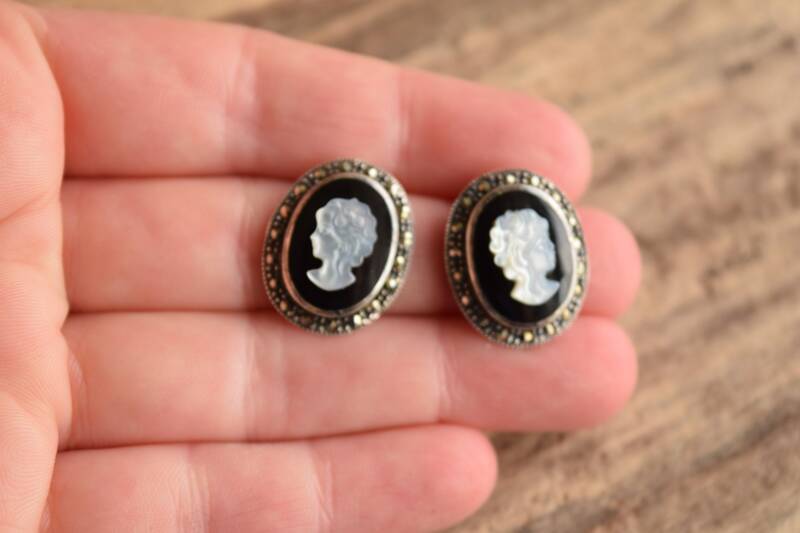 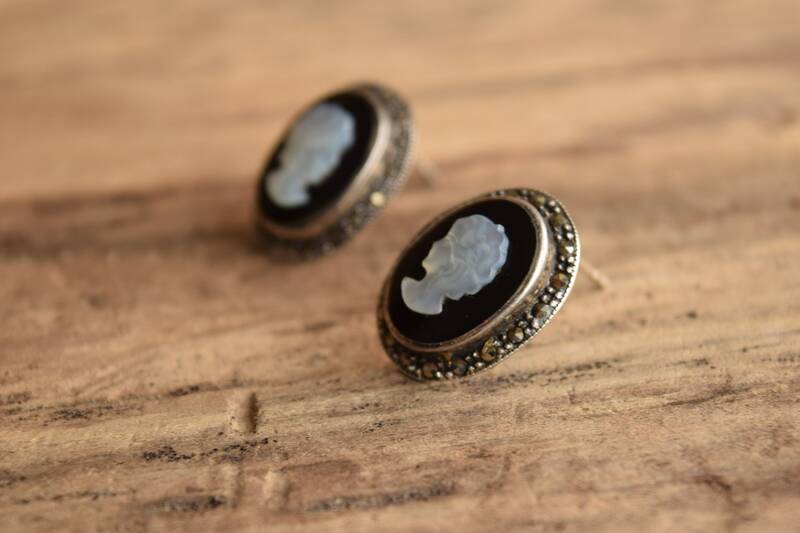 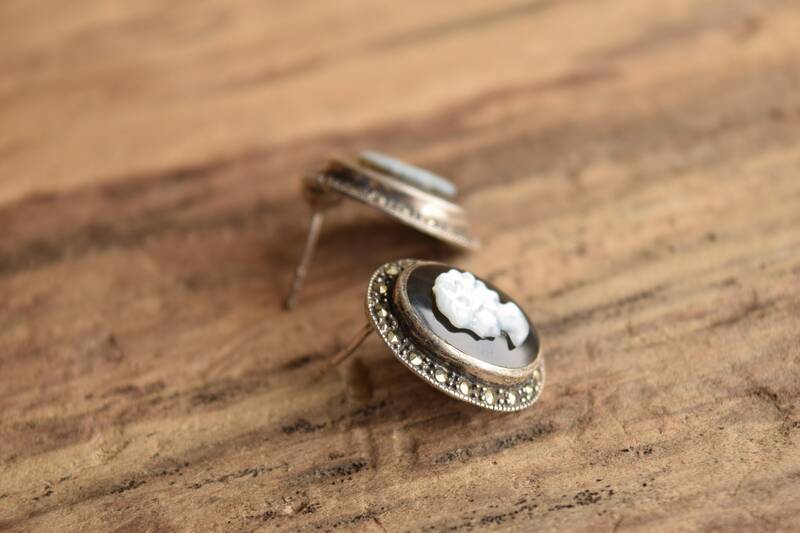 Elegant and classic, these cameo earrings feature onyx ovals, raised mother of pearl cameos and an array of marcasites set in sterling. 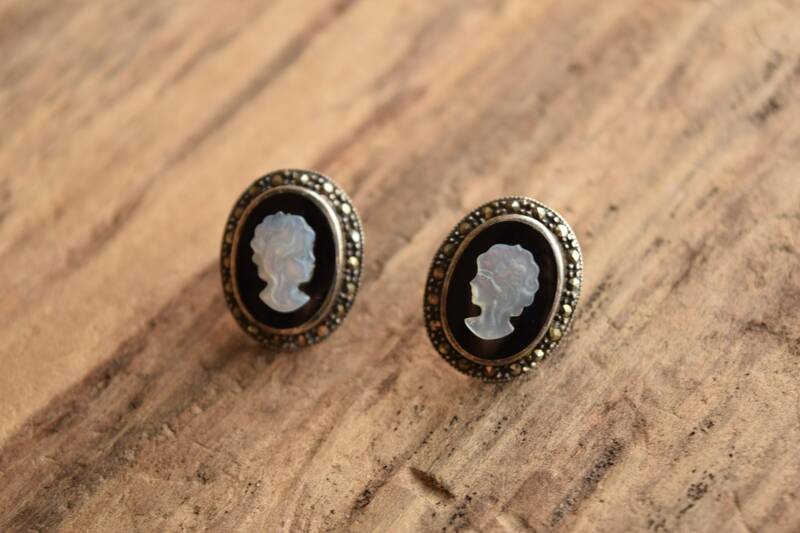 Perfect for work or play. 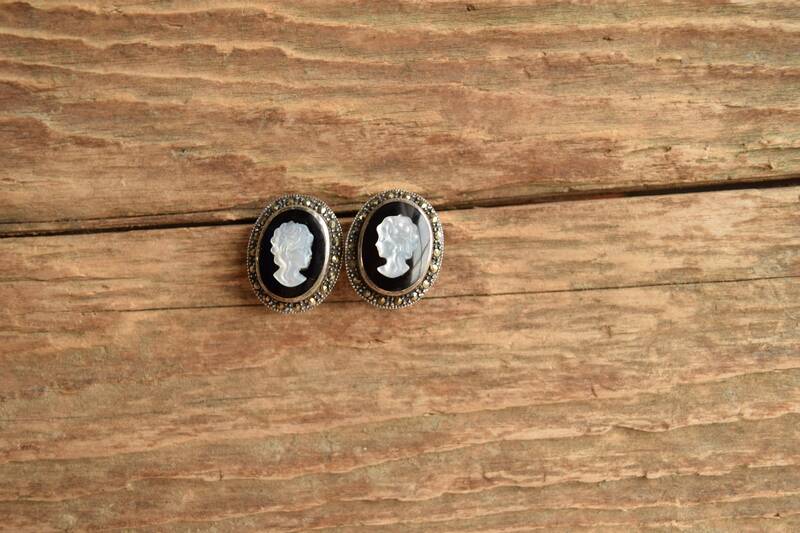 Condition: Great condition. 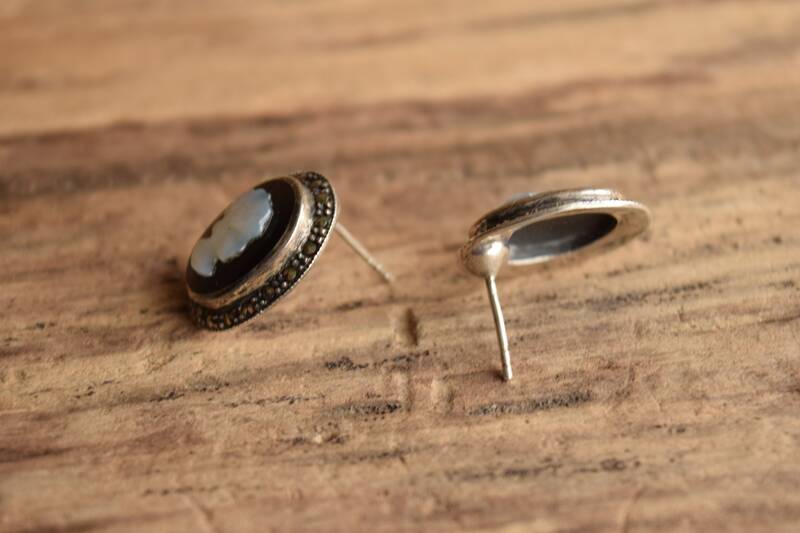 No major damages, some tarnish is visible. 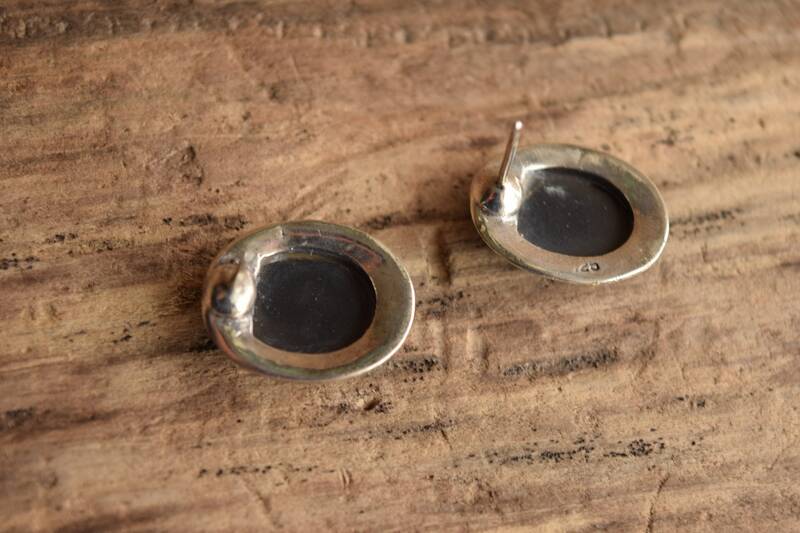 We've polished and sanitized the backs and will provide ear backs for wear.